Fritz Graf, Apollo. Gods and Heroes of the Ancient World. London/New York: Routledge, 2009. Pp. xviii,190. ISBN 9780415317115. $30.95 (pb). Fritz Graf's contributions to the scholarship of ancient myth and religion over the last decades need not be rehearsed here, but it seems worth saying at the outset of this review that his remarkable breadth of learning and depth of thought on these subjects are on full display in his new volume on the god Apollo for Routledge's series Gods and Heroes of the Ancient World. This is the source of the book's clear virtues but also, depending on one's view of the series' format and audience, of its only serious flaw (aside from an absurdly high price). How does one cram all that learning into the book's 175 pages of text? Not very comfortably, it turns out, but I suspect that the strengths of the book will ensure it a healthy audience, though one that will not necessarily match that envisioned in its preface (xiii), namely the "general reader" and "students in a wide range of fields." Those who know the series and how it has been received by reviewers may be feeling a sense of déjà vu at this point.1 My own impression is that this book will be of use primarily to those already with a solid basic grounding in Greek myth and religion and previous exposure to the most important literary sources that Graf employs. So advanced undergraduates moving beyond the rudiments, graduate students and secondary school teachers preparing to teach units or sections of courses on Apollo, and instructors of college-level myth courses looking for fresh ideas strike me as natural audiences. They will be pleased with this content-rich, up-to-date, and intelligent book but probably wish that the series' format allowed for more consistent documentation of sources and bibliography. 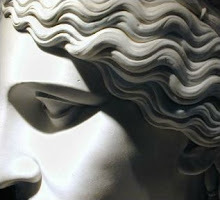 Less advanced students and the general reader will be rewarded if they have the interest level to hang on and are not overly troubled at being puzzled frequently by the intricacies even of Graf's simplified view of Apollo, one of the most complex of the divine figures from Greek myth and religion. This volume looks very much like its predecessors. A "Series Forward" and "Introduction" come before 7 chapters grouped into a section titled "Key Themes," which are followed by a single chapter on the Nachleben of Apollo. I will give some idea of the organization and content of the chapters below but would like to preface them with a few general comments. Throughout the book, Graf makes impressive use of all sorts of evidence to illuminate the figure of Apollo in Greek myth, literature, cult, and society. There is a nice mix of literary sources, evidence from material culture, religious studies, and social and political history. This performs a double service, first in constructing a complex but convincing portrait of the god, and second in creating a compelling sense in the reader that Apollo cannot be viewed in any sense as separate from the society of which he was so important a part. A general reader will probably not always be able to follow Graf's discussion of, for example, the Milesian molpoi, scattered as it is over several places in the book, but his treatment of Apollo's relationship to young men and music is as instructive about Greek society as it is about the god. Visual evidence is perhaps given shorter shrift than other sorts, no doubt partly because the volume contains only 11 black-and-white figures. This slight criticism, however, is not meant to imply that Graf ignores visual evidence in his text, but the illustrations are too few and too often function as adornment rather than an integral part of the discussion for the reader's benefit. On the whole, the range and balance of evidence deployed is admirable, and it is most emphatically not limited to the well known or obvious. Many details that another author might have thought too arcane for a book of this sort are used to bolster more general observations quite effectively. At the same time, Graf is refreshingly honest about the limitations of the evidence, a valuable lesson for professional and general readers alike (a particularly amusing example: when Graf mentions on p. 74 that the seat of the prophetess of Didyma is called axon in Iamblichus, he comments, "whatever that means"). A book of this sort could easily become clouded by too much expressed uncertainty, but Graf never allows things to go that far. In terms of coverage, Graf does a fine job of giving us what we expect--Apollo's greatest hits, so to speak (the god's role in the Iliad, the oracle at Delphi, the story of Croesus from Herodotus, etc.) --but also what will be new to those who are not already initiated (the Spartan Hyacinthia, paeans, Pythagoras, the oracles of Didyma and Clarus, a clear discussion of shamanism and the problems associated with using the concept for ancient Greece, etc.). There is chronological coverage as well, and not just in the final chapter on the post-antique Apollo, though the archaic evidence is given greater weight than, say, the early imperial. A book of this length cannot include everything, of course, and there are things missing or treated too briefly. Apollo's interesting appearances in Attic tragedy, for example, are never discussed in any detail, though Euripides' Ion and Aeschylus' Eumenides are mentioned in passing. Chapter One, "Apollo in Homer," uses the opening of the Iliad, parts of the Odyssey, and the Homeric Hymn to Apollo to introduce the god to the reader. The advantage of this approach is that these texts contain almost all of the main themes and elements that will occupy Graf for the rest of the book--disease and cure, archery, propitiation, music and the Muses, oracular prophecy, Delphi, male youth, and questions of origins--but the primary disadvantage is the introduction right away of a certain centrifugal tendency that threatens to disrupt the unity of presentation. The complexity of Apollo and of these particular sources means that Graf has to scramble a bit to keep focus, and readers will have to be willing to hang on until he has it all under control in the later chapters (and put up with a bit of repetition as things proceed). The issues here do not all arise from having to bounce around among so many themes inherent to the subject; sometimes Graf is a little too eager to enter at length into long-standing debates that may be of less interest to a real neophyte reader. We get two full pages on the famed epithet Smintheus, which has vexed scholars since antiquity, but Graf ultimately concludes (p. 25) "To connect Apollo, mice, and plague is the result of our wishful thinking," which makes one wonder whether we needed quite all of the preceding discussion. On the other hand, this can be viewed in a more positive light; as Graf engages in these debates and discussions from the scholarship, he trusts his readers enough to think they will benefit from knowing of the testimony of Callinus of Ephesus and Polemo of Ilion (the former preserved in Strabo, the latter in the Homeric scholia) when this is presented in a relatively non-technical way. Graf never loses control of his material and even his digressions are of great interest, but less prepared readers could grow frustrated with the intricacies of the presentation. One might also note that the purpose of this chapter is clearly to introduce the very complexity that makes it so bumpy--the rest of the book will take up the various main themes in more isolated fashion. Chapter Two, "Apollo the Musician," gives a nice overview of Apollo's connections to mousike in (mostly Archaic) Greece, using primarily literary evidence. The lyre/flute opposition, the Muses, paeans, and poetic inspiration are treated here concisely, with a digression on Pythagoras and shamanism concluding the chapter. This last is a bit out of place--Graf is clearly concerned to provide a corrective to anyone who has been influenced by the supposed presence of shamanism in early Greek religion--but it does provide a logical bridge to the wider topic of ecstatic inspiration, which is the subject of the following chapter. Chapter Three, "Oracular Apollo," opens with a general but sophisticated and clear discussion of divination and contains a bit later on a cogent overview of methods of divination in antiquity. Prophets known primarily from literature (Cassandra, Helenus and the Sibyl) are dealt with briefly at the chapter's end. The heart of this chapter, however, concentrates on Apollo's own powers of divination and his most important real-world oracular sites: Delphi, Didyma, and Clarus. The treatment of the latter two is particularly welcome, not only because of their importance later in antiquity, but also because a general reader or student will not likely have encountered them before. In this chapter Graf is especially adept at weaving together sources of various sorts from different times and places in the ancient world. Chapter Four, "Apollo, God of Healing," returns to the detailed discussion of Apollo as both cause of and cure for disease, a topic introduced in the first pages of Chapter One but treated only sporadically in that earlier context. Graf ranges from Apollo's relationship with Paeon to the importation of Apollo as a healer into Etruscan and Roman Italy and Gaul. As one might expect, Asclepius is also treated in some detail, and the chapter concludes with a brief but illuminating discussion of conceptions of the origins and remedies of illness in ancient thought, leaning heavily on the familiar notions of pollution and purification. Chapter Five, "Apollo, the Young, and the City," is something of a hodgepodge by necessity, and I suppose the general organizational principle is as good as any other. It begins with a discussion of the dedication of young men's ritually shorn hair to the god, goes on to touch upon his unlucky love life, then proceeds to skip along over various connections with young men and ephebes, including initiation rituals and Apollo's civic roles. As elsewhere, Graf is more interested in what Apollo "means" rather than the plot of ancient narratives, and in this chapter Graf is covering so much ground that the presentation comes across as rushed--one will get some sense of this if I point out that the story of Daphne occupies a single extended sentence. Chapter Six, "Origins," had the potential to be quite problematic for Graf, who carefully and skeptically treats matters of origins (and particularly historicizing and etymologizing searches for origins) throughout the earlier chapters. But here Graf is not inclined to be merely dismissive. In fact, what we end up with is a reasonably detailed, though not overly technical, introduction to various lines of inquiry and theorized connections, in which Graf ultimately favors Walter Burkert's version of the Dorian origin of the god over Anatolian and Near Eastern possibilities. Chapter Seven, "Apollo's Flourishing Aftermath," comprises on its own the final section of the book. It takes us from Apollo's place in late-antique allegorizing writings to the 19th and 20th centuries, hitting upon various topics of interest along the way. Among these are the Apollo/Dionysus opposition and Nietzsche's elaboration of it, as well as the god's continued role as source of poetic inspiration (with significant extracts from Renaissance and more recent poetry) and symbol of classicism. My initial reaction to this chapter was to catalog all the things I found missing from it and lament how sketchy it was; a subsequent rereading left me with a more favorable impression. How exactly is one supposed to treat the entire afterlife of Apollo in 33 pages? I guess there are many ways to go about it, but I am not sure many of us could find one that would do justice to the topic and please all readers. Graf has made a thoughtful attempt, even if the format of his medium has betrayed him. First, the suggested readings given for the chapters (pp. 180-185) are too specialized and sometimes more intended to steer people away from rather than to sources. In the section describing general readings on Apollo, only two of the six items are given in English, L. R. Farnell's The Cults of the Greek States (1907), which Graf finds "outdated but still useful" (a fair assessment, but in my view it is almost worthless to a general reader who will not be able to tell the outdated from the still useful) and J. Solomon, ed., Apollo: Origins and Influences (1994), which Graf calls "patchy at best" (I would personally have said "somewhat uneven but on the whole containing much of value," and in light of the lack of readily available other treatments I might have suppressed the first part of that judgment in a book of this sort). In a similar vein, what Anglophone general reader or student will rush off to look up E. Vermeule's Götterkult (1974), the first reading listed for the first chapter, especially when she learns from Graf that it "is outdated, but has not been replaced"? 1. The suitability of these books for this intended audience has been seen to vary from instance to instance, and I am merely the latest in a growing line of reviewers for BMCR to remark upon it. The first two books reviewed in these electronic pages (see Torrance on Griffith's Medea; BMCR 2006.07.52 and Alonge on Dowden's Zeus; BMCR 2007.02.25) bracket the debate nicely. The former is seen by its reviewer as "extremely readable", while the latter is said by its reviewer to "be apt to mislead the series' intended audience...since they will not be equipped with the necessary background information" in light of its "compressed writing style." The back and forth between Fitzpatrick and Edmunds about the latter's volume on Oedipus is especially enlightening (beginning with BMCR 2008.01.43). 2. There are slips here and there, but none very important to the argumentation since they usually concern matters of incidental detail: e.g., on p. 14 Graf writes of the myth of Niobe "narrated by old Priam," but it is narrated to old Priam, and on p. 29 Apollo must turn west not east to get from Euboea to Thebes in the Homeric Hymn. 3. Especially when it would have removed some of the typos. These can occasionally be problematic: e.g., read "Rhetra" for "Rethra" on p. 58 and "goods" for "gods" at the bottom of p. 62 in the citation of Plato's Phaedrus. Most of the typographical errors, however, can be easily read past without serious trouble (e.g., "charactized" on p. 40 and "posessessed" on p. 49). There are also some slight inconsistencies and errors in the transcription of Greek terms (e.g., read mousike for musike on p. 47).